If your pet has died and you are considering pet funeral or cremation services, please know that we serve ALL Veterinary Hospitals in Melbourne, FL and surrounding counties. 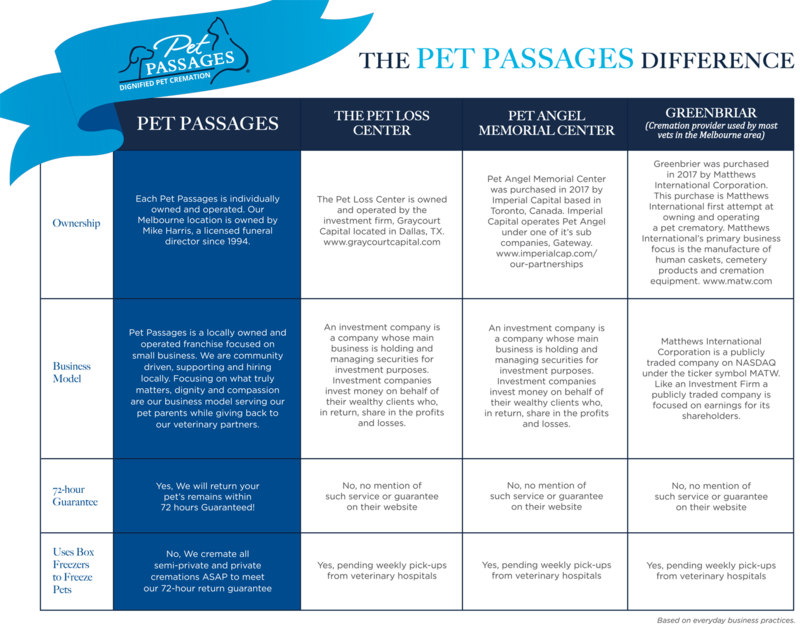 To better understand what makes Pet Passages the Best Choice, we have created this comparison chart. If you have any questions, please call us directly at 321-254-3333. 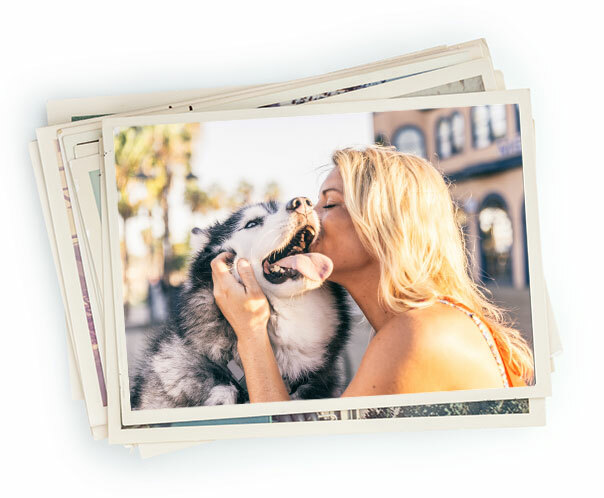 Pet Passages believes that it is very important for pet parents to have a choice when it comes to their beloved pet’s after life care and more importantly we believe you should know a pet crematory’s background, ownership and location. This is why we post the comparison chart above. In addition, you will find a few links to articles and information about pet cremation facilities that serve the Melbourne, FL area as it is our true hope to help educate our community when it comes to such an intimate and sensitive service.